Most industrial manufacturers rely on some form of indirect sales channel for revenue growth. Whether distribution, reps, agents or any of a variety of other versions, channel sales are an economically viable approach to reach broad markets. But typically channel and manufacturer goals are not entirely aligned. Certainly there's a common core financial interest, but even the magnitude, impact and horizon will impact how each values that interest. It's part of the reason an ideal channel profile and proper channel model selection are so important; and that a viable business plan provide the foundation for long-term mutual success rather than the monthly pipeline reports that are so common. One of the most common areas of friction is the generation of leads and creation of projects. Channel tends to leave lead generation up to the manufacturer, while the manufacturers relies on channel for local market and customer knowledge which is important to lead generation. One often hears frustration from manufacturers that find channel waiting for the phone to ring - and from channel waiting for some leads from manufacturers. That creates a host of risks ranging from IPR (use of trademarks), binding obligations (representations and warranties on behalf of a manufacturer), branding and more. Manufacturers try to manage those risks with language in channel sales agreements - but the one-time document is often forgotten months and years later in the market madness and push to generate revenue. Often the strategic marketing plan is a casualty. There's no perfect solution to any of these challenges. But there's a very powerful tool that manufacturers often overlook. The power of white label content. 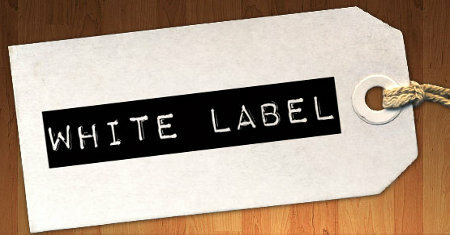 White label content (co-branded materials produced by the manufacturer and provided for the channel partners' use) serves an important function in a strategic marketing plan. If it's valuable and insightful (your content should be!) channel will embrace it. It provides value to them (helps to generate local leads) and to their prospects/customers. Manufacturers appreciate the fact that they control critical elements and protect their interests - that local efforts are harmonized with their strategic marketing plan..Tthe key is to make it effective and easy to use. And here's where many companies miss the opportunity. It doesn't do any good to have material that sits on a channel portal and is only occasionally sent to a prospect or referenced for technical clarification. White label content only works when it's creating value for prospects. Therefore manufacturers have a couple additional steps to take. First, they need to offer some simple coaching on digital marketing optimization for their channel partners. Don't just stipulate that they show your logo on their website, for instance, but advise them on how to optimize a couple pages and include effective CTAs on their site. Provide suggested email text and deliverability suggestions to help them promote the content to their in house contact lists. In other words help them leverage the tools. You'll also need to train them. You've learned that you sell today's leads differently than those of a decade ago. Sometimes channel isn't as sensitive to this nuance. Share your lessons learned in the form of sales enablement training. Will all your channel embrace this? Of course not. Will some worry that you'll "control" their leads? Yes. Will they imagine conniving intent in your strategic marketing plan? They may. And with each feedback you'll learn important lessons about your channel! Those that have a collaborative growth mindset (isn't that really the fundamental requirement for success) will be delighted and actively work with you to implement a program. Even those that reflexively worry will come around when you explain that you're providing service for which many companies pay $5,000/month - simply as part of the value you provide for them as a partner. And remind them that this isn't a new concept. For years they stuck small stickers in the lower corner of manufacturers' data sheets. This is "distributed by" stickers on steroids. Establish the value of this support as part of your channel business model. Make a prospective partner's embrace of this support a non-negotiable element of the ideal channel profile. If you really believe in content marketing and thought leadership for your core business, then have the courage to leverage it for the mutual benefit of committed partners. It's a win/win/win! Want to learn more about how to Manufacture Revenue Growth? Download our free eBook.